The demand is increasing to replace the current cost ineffective and bad time-to-market hardcopy publishing and delivery of content in the financial world. Financial Enterprise Content Management Services (FECMS) have been deployed in intra-enterprises and over the Internet to network with customers. 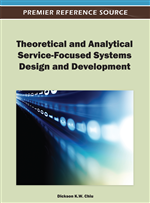 This paper presents Web service technologies that enable a unified scalable FECMS framework for intra-enterprise content flow and inter-enterprise interactions, combining existing sub-systems and disparate business functions. Additionally, the authors demonstrate the key privacy and access control policies for internal content flow management (such as content editing, approval, and usage) as well as external access control for the Web portal and institutional programmatic users. Through the modular design of an integrated FECMS, this research illustrates how to systematically specify privacy and access control policies in each part of the system with Enterprise Privacy Authorization Language (EPAL). Finally, a case study in an international banking enterprise demonstrates how both integration and control can be achieved. Enterprise Content Management (ECM) refers to the management of textual and multimedia content across and between enterprises (Tyrväinen et al., 2003). In the context of the Financial Enterprise Content Management Services (FECMS), content refers to the pieces of information in the enterprise, including financial research, market commentary, calendar events, trading ideas, bond offerings, and so on. Recently, internal FECMS, as well as external content portals for customer access, have been deployed to replace the current cost ineffective and bad time-to-market hardcopy release of content delivery in the financial world. Published content contributes highly to customer relationship management (CRM) (Tiwana, 2001), as this is an important value-added service to clients in the financial industry, such as brokerage firms (Chiu et al., 2003). Content produced by an analyst of a financial enterprise often provides valuable advice for the decision making of client investors, and therefore has a high impact on the image, reputation, and professionalism of the enterprise. In addition, content received or composed is also used throughout the enterprise for internal decision making. Knowledge is power. As knowledge and organizational memory can be captured in enterprise content, access to content is an effective source of knowledge (Küng et al., 2001). A good ECM system can produce high return on investment, which is a valuable asset to the enterprise (McNay, 2002). Thus, this is especially important for financial enterprises. Integration, instead of building from scratch, is the preferred strategy in building large enterprise information systems as demonstrated in our case study in a large international banking enterprise (Kitayama et al., 1999; Edwards et al., 2000). However, the management of such a large volume of content and such a complex system is non-trivial. For a global system with multiple sites, it is a big challenge to provide a mechanism for content analysts all over the world to contribute commentary that they will publish on the Web in a timely way. The maximum time to market a commentary should be within minutes, because its intrinsic value depreciates exponentially. Nevertheless, an important contradicting requirement is that editors and auditors must check content publication against any possibility of violating laws and regulations, which vary across countries, and even States. In this paper, we demonstrate how contemporary Web service technologies can facilitate such conflicting objectives of integration and control. With an integrated FECMS deployed for both internal and external users, risks appear if there is inadequate control. In this context, privacy and access control is the focus of concern. For example, malicious or even un-intentional alternations to financial content may not only cause disasters to internal management decisions, but also affect valuable external client investors. The latter case might lead to severe damage of enterprise reputation or even legal responsibilities as FECMS contains a large amount of sensitive and confidential information. Access control technologies can also reinforce management control as demonstrated later in this paper, while privacy issues often go hand-in-hand with access control (Powers et al., 2002). In particular, there are usually additional legal and trade requirements for financial institutions, such as the U.S. Privacy Act of 1974 (Davis, 2002) as a result of the sensitivity and value of the customers’ information. To the best of our knowledge, no previous, comprehensive studies regarding FECMS reporting exist on how the conflicting requirements of integration and control can be facilitated with technologies. We present a holistic approach to the problem in this paper, based on the previous studies of Kwok and Chiu (2004) and Chiu and Hung (2005). The coverage of this paper is the description and analysis of the following: (i) requirements and technical problems of ECM in the financial industry, (ii) a methodology to elicit such requirements, (iii) an enhanced FECMS architecture for such an environment, (iv) the design of FECMS components for secured internal content flow management and external access, and (v) a comprehensive case study with detailed illustration of how various Web service technologies can streamline the main objectives of integration and control.